The Welland Canal is set to open its navigation season on March 22, but St. Catharines, Ont., won't host its annual opening-day celebration until a few days later. The "top hat" ceremony, honoring the first upbound vessel to pass through the canal each navigation season, is scheduled to take place at 10 a.m. March 26 at the St. Catharines Museum-Welland Canals Centre, at Lock 3. 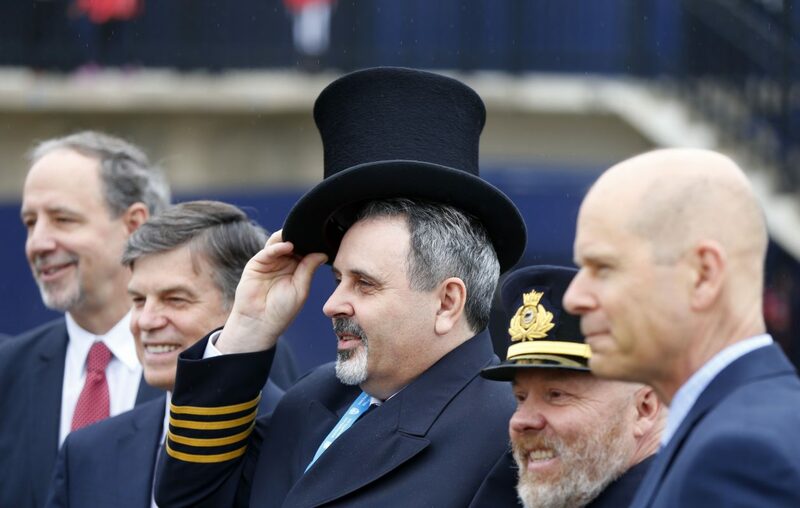 A ceremonial hat is presented to the captain of the first vessel. March 26 coincides with the opening of the St. Lawrence Seaway's Montreal/Lake Ontario segment. The Welland Canal is opening earlier in response to customer demands for cargo delivery that do not require travel through the Montreal section. Both sections were originally scheduled to open March 26.